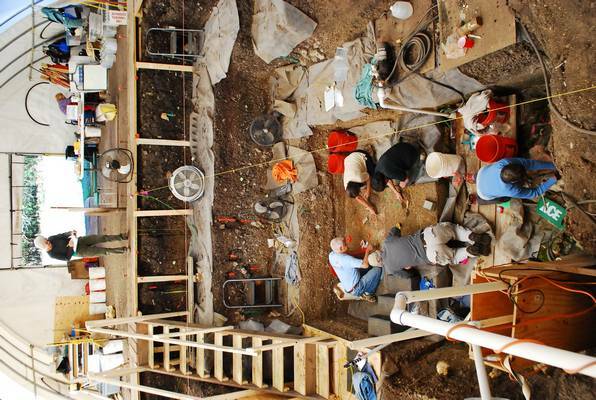 Since 2016, Dr. Madeleine McLeester and her colleagues have been excavating at a 17th century Native American village located at the former Joliet arsenal, Midewin National Tallgrass Prairie, in northern Illinois. The site is currently defined by a series of subterranean storage features; however, a recent analysis of historical aerial photographs and drone-acquired thermal imagery suggests that the site may be much larger and contain housing and ritual areas currently only detected through geophysics. Dr. McLeester is collaborating with SPARC to further explore the extent, spatial layout, and archaeological features of this village. This work will provide needed texture to village life during the terminal pre-European era, for which few sites near Chicago remain. This project is also essential to the preservation of these archaeological features due to restoration, earth-moving projects that may threaten the archaeological record. The PI would also like to acknowledge the Forest Service, USDA, for their support for the project. 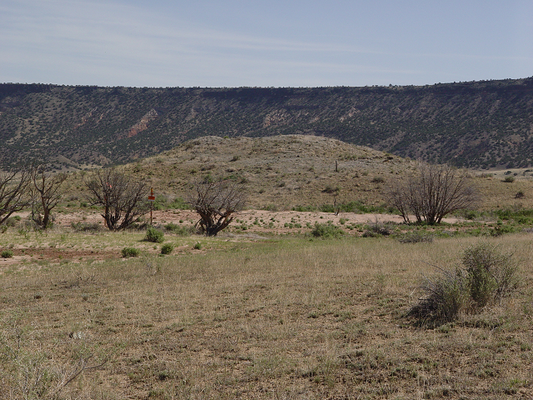 (Image credit: Sean Field) Dr. Reese and SPARC collaborators will use UAV-based LiDAR and thermal imaging data collection to help document the extent of Ancestral Pueblo occupation and use of the Mesa Verde North Escarpment from A.D. 600–1300. The data will be used to create a detailed bare earth terrain model, which will help to identify habitation, civic-ceremonial, and ritual architecture, along with water management features that supported the population in this mostly unrecorded area. The PI (Reese) would like to also acknowledge the support of the Bureau of Land Management. 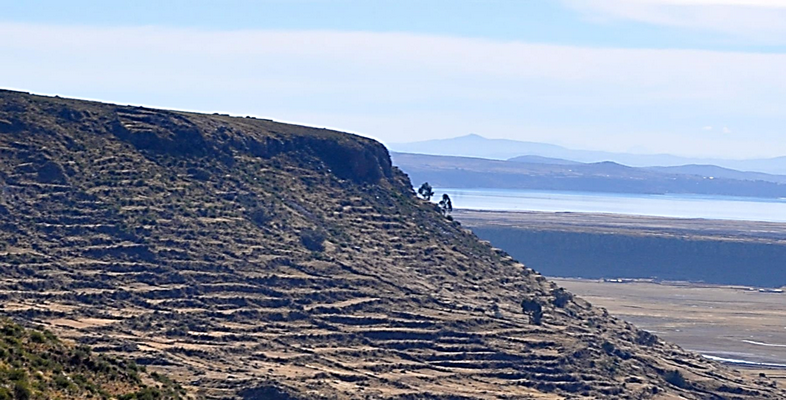 Dr. Brieanna Langlie is collaborating with the SPARC team to map and study past and present-day agricultural terraces in the Lake Titicaca Basin. This extensive landscape study is essential to Dr. Langlie's archaeological and ethnobotanical project in the to examine the past, present, and future of terrace agriculture in the Altiplano. The team is developing a GIS to integrate data on terrace configuration and location, relationships with regional archaeological settlements, and aspects of the local topography that may affect cultivation potential. Pinpointing regional processes of agricultural intensification is imperative to understanding the dynamic prehistory of the region, and answering larger anthropological questions about the motivations and consequences of agricultural intensification. 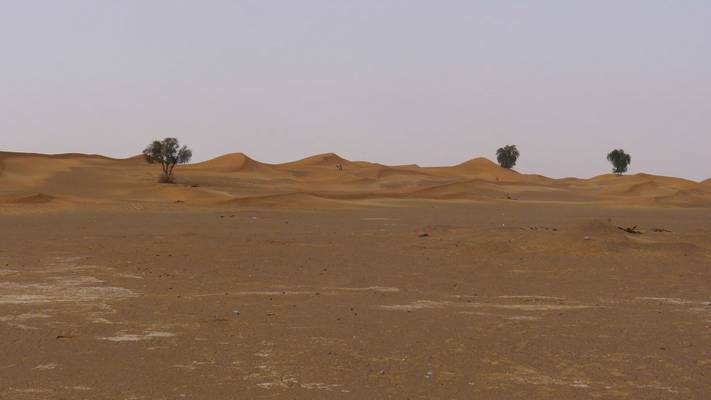 This project will use Ground Penetrating Radar (GPR) to transform understanding of Iron Age metallurgy in Oman, looking specifically at the metalworking site of As-Safah – located at the edge of the Rub’ Al-Khali (Empty Quarter) of Arabia. The geophysical investigations will address questions like the size and spatial layout of As-Safah, if people there lived in tents or more permanent structures potentially recognizable in GPR and water and fuel availability. The broader impacts of this work include understanding how societies of the past adapted to harsh arid environments and developed technologies to produce valuable tools and trade goods from relatively rare natural resources such as copper. 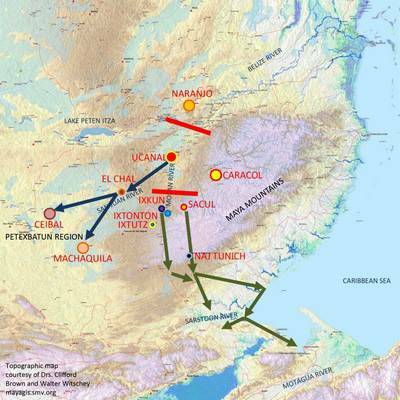 This project will contribute to the development of GeoPACHA (Geospatial Platform for Andean Colonial History and Archaeology), a geospatial database and interface for producing thematic and analytical maps, currently being created by the PIs with support of the NEH (award #HD-229071-15) and Mellon Foundation. 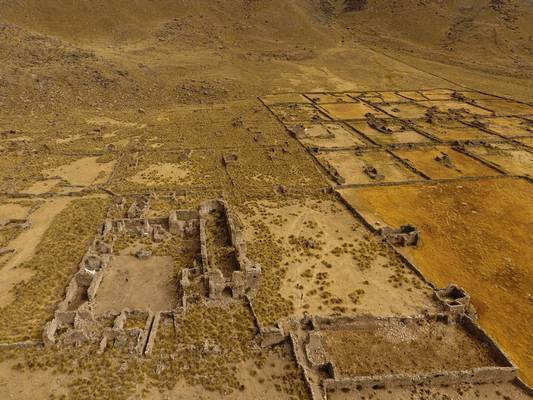 The SPARC collaboration will support adding the ability to crowdsource the locations of previously unmapped reducciones in the territory of the Viceroyalty of Peru through “virtual archaeological survey” using high resolution satellite imagery. The project will focus on using free and open source software in creating the geospatial infrastructure, enhancing the reproducibility of the approach. 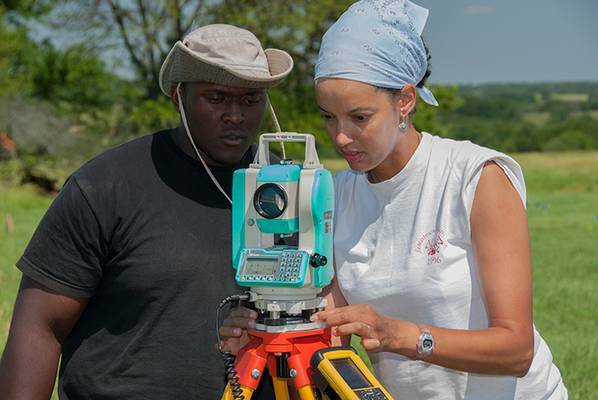 (Image credit: Mica Jones) The Bosutswe Landscapes Regional Survey (BosLand) began in 2014 to works towards a better understanding of the precolonial cities and kingdoms that arise in the African interior around the 1st millennium AD. This project focuses on building a GIS to integrate extensive, newly acquired, satellite imagery for the study region with data collected from previously collected geophysical and close-range aerial data. The project's GIS will also bring together information on sites with that on local water systems. The project also aims to develop a predictive model for sites in other nearby areas. The PI (Klehm) would like to acknowledge the DigitalGlobe Foundation for their support in the upcoming project through an Imagery Grant. The SPARC Analytics project uses, in part, previously collected survey and excavation data in 2014. To this effect, the PI would also like to acknowledge the support of East Tennessee State University (under a RDC Major Research Grant) and, jointly, the Center for Advanced Spatial Technologies at University of Arkansas and National Science Foundation (through a SPARC Fieldwork Grant). 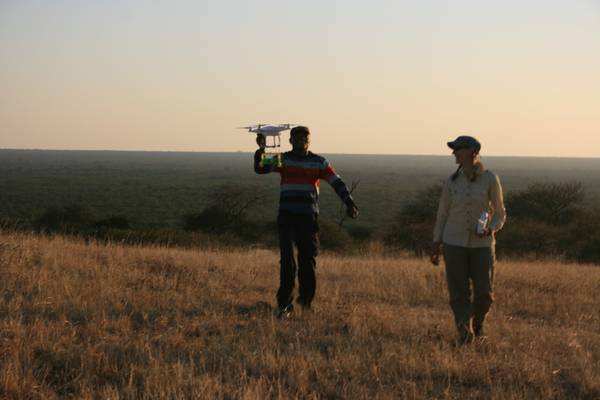 The geophysical component of this previous field research was led by Dr. Eileen Ernenwein East Tennessee State University, the aerial survey by Katie Simon at University of Arkansas, under the direction of Carla Klehm and with archaeological assistance from the University of Botswana and the National Museum of Botswana. The 2014 data were collected under Republic of Botswana Ministry of Environment, Wildlife, and Tourism Permit EWT8/36/4XXV(62). This project seeks to answer a series of questions related to the visual environment of Chacoan monumental architecture. The projects key questions are: 1) To what extent were great houses and other Chacoan structures positioned to maximize their visibility within local landscapes? 2) Did the choices about visibility made by the builders of great houses change over time and/or differ among regions? The project will approach these questions through the use of total viewsheds, building on work done as part of the Chaco Social Networks (CSN) Project. The project gratefully acknowledges support from the Chaco Social Networks Project, which was funded by the National Science Foundation (grant numbers 1355374 and 1355381) and the Chaco Research Archive, which supplied essential data. The Stagville Landscapes project will examine the nearly 20,000 acres of plantation lands owned by the Cameron family of North Carolina from 1776 through the middle of the 20th century. 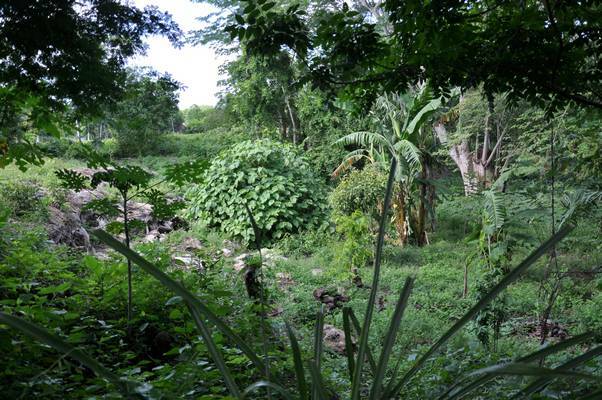 The project represents an important opportunity to examine a single plantation complex in its entirety. The results, based on a combination of LiDAR analyses and archival research, will contribute to our understanding of the social relations and human-environment relations that characterized plantations—networked spaces of labor. Together with SPARC researchers, Drs. 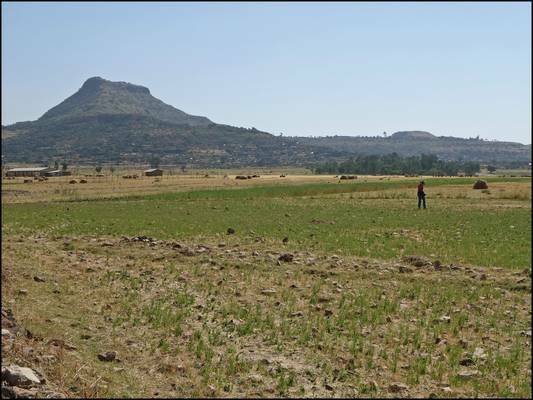 Wendrich and Barnard and Ms. Moy will undertake geophysical survey and analysis of archaeological remains dating to the Aksumite Period across an occupation area around the sites of Mai Adrasha and Mezebar Adimenabr (Ethiopia). The material culture of this period and region is relatively unknown, and the results of the project will provide essential basic archaeological data. The team plans to focus their investigations on the variability of domestic architecture. Patterns and distributions of domestic architecture types will be used to elucidate differences in identity or activities within the context of a community developing new agricultural practices and in the process of urbanization. Ms. Thum will collaborate with researchers from CAST to create detailed and georeferenced 3D models of Egyptian inscriptions carved into the stone and their immediately surrounding landscapes in a variety of locations in the Middle East and North Africa that fall within the sphere of Egyptian influence. Through this analysis the research team will investigate potential cultural, religious, and military motivations behind the placement of living-rock monuments on particular outcrops and in the wider landscapes around them and to assess whether spatial language within the texts of living-rock monuments might have played a role in articulating their positions in the landscape. This project gratefully acknowledges the support of the Council of American Overseas Research Centers (CAORC), the Andrew W. Mellon Foundation, the American Research Center in Egypt (ARCE), and the United States Department of State Bureau of Educational and Cultural Affairs. 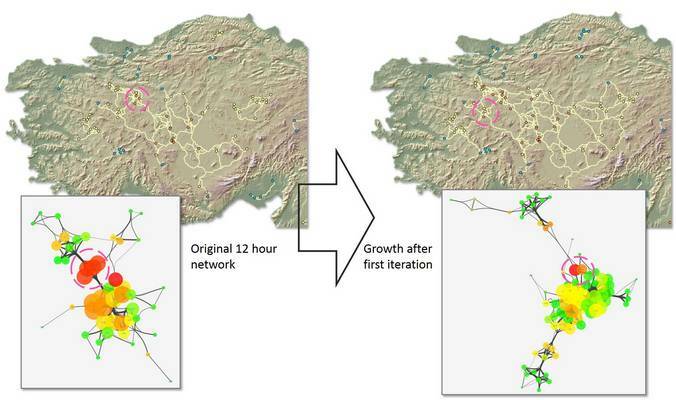 Mr. Stephens will collaborate with the CAST team to undertake high resolution path modeling and network analysis to investigate routeways emerging and in use in Anatolia in the Early Iron Age (ca. 1100-800 BCE), following the collapse of the Hittite state ca. 1200 BCE. This work will support the PIs ongoing research that seeks to understand the complex web of relationships that developed across Iron Age Anatolia through an integrated study of possible land-routes determined by topography and principles derived from network analysis. The results of the project will shed light on territorial issues of state formation and test the effects of large, dominant centers on the arrangement of evolving transportation networks. 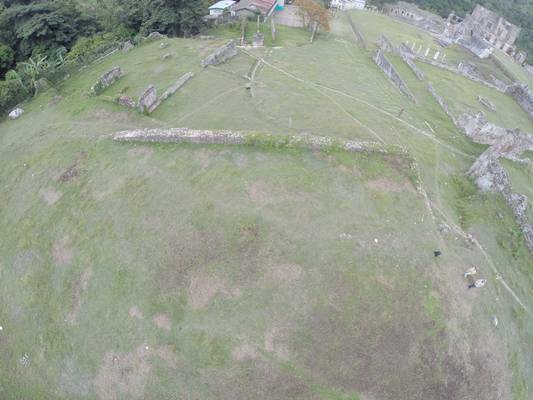 CAST researchers will be collaborating with Dr. Monroe and Mrs. Rocourt to collect new 3D scanning and photogrammetric data of the standing architecture at San Souci, Haiti to generate a high resolution architectural and topographic plan of the site. The collection of this data is crucial to the PIs examination of the architecture of power in the short-lived Kingdom of Haiti (1811-1820), which emerged in the years following the Haitian Revolution. 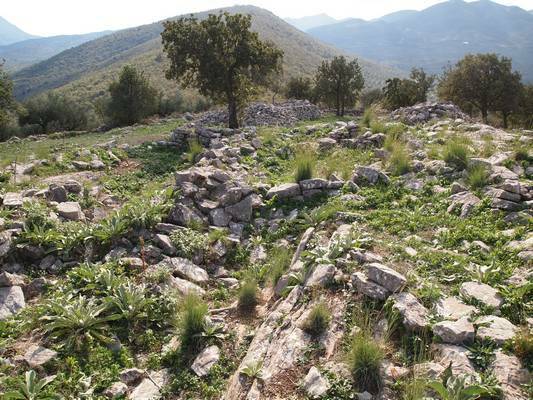 The new project builds on an earlier program of geophysical survey centered on the main palace, and supports the completion of the preliminary study of the site, generating baseline data with which to begin to ask broader questions about the organization of space at this important and under-studied site, and the social dynamics expressed and created by the spatial arrangements. Through this collaborative project, Mr. Erb-Satullo and members of the SPARC team will carry out geophysical surveys at Mtsvane Gora (Republic of Georgia). The project aims to identify and understand the spatial distribution of metallurgy activities and extra-mural settlement at the site. The elucidation of these patterns will support Mr. Erb-Satullo’s research on the social context of early iron production, as reflected in the spatial relationships between domestic areas, workshops, and public areas. 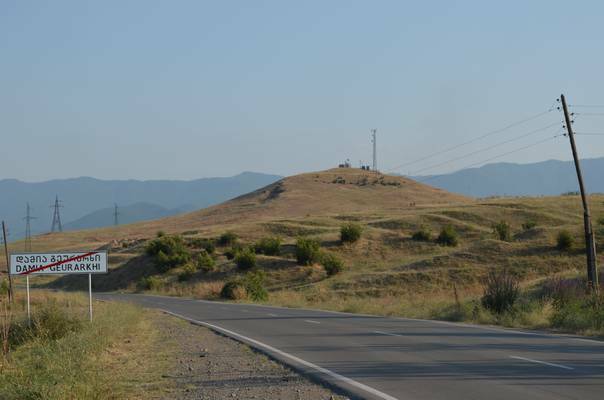 The results of this research will contribute to the PIs broader work on control of metal production, technological change, social hierarchy and settlement in the context of the Bronze Age – Iron Age transition in Georgia. Together with SPARC researchers, Ms. Brock will use newly acquired data from her coring survey to build a digital model of the temple complex at Sant’Omobono (Rome, Italy) and the adjacent Tiber River harbor. By reconstructing the natural and built environment of this area, the team will explore the development of Rome’s river harbor in the context of an emerging city. The modeling process will support research on the role of the environment and human adaptation in prehistoric urban systems, and the results will provide an effective way to communicate the new picture of the Forum Boarium. Drs. 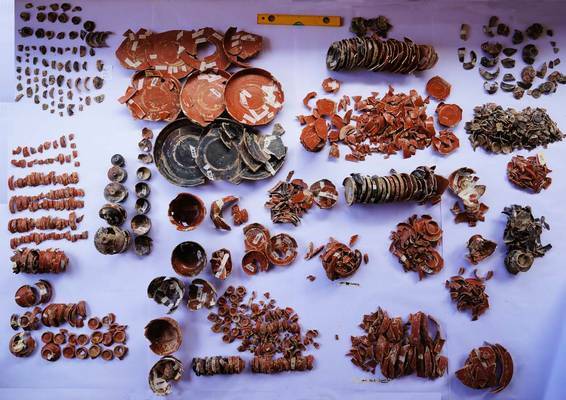 Vennarucci, Van Oyen and Tol will work with SPARC researchers to implement a digital recording system for the excavations at Marzuolo, a rural production site located in Tuscany, Italy. Supported through pre-fieldwork and on-site collaboration, the team at Marzuolo will establish a method for creating detailed georeferenced 3D models of their sites stratigraphy, integrated with the projects broader GIS and descriptive data. By enabling accurate and thorough spatial recording, the collaboration will aid the PIs in their investigation of the spatial organization of the site and its production activities, particularly those linked to the experimental and later standardized production of Terra Sigillata Italica pottery. Dr. Carter, together with Ms. Santini and Mr. Davenport, will collaborate with SPARC researchers to study the relationships between terrain, routeways, and evolving settlement patterns in the Five Lands region during the Classic period of Maya culture history. 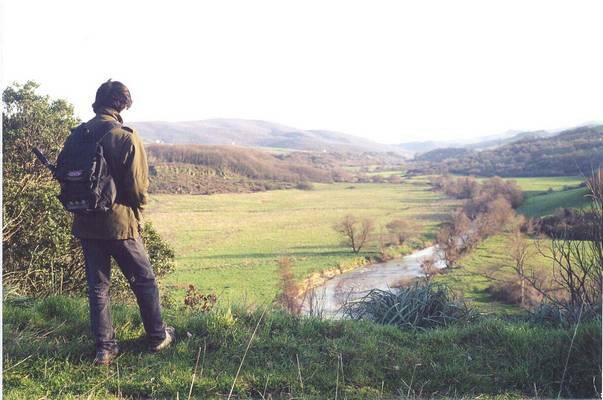 The project will assess the relationships between intervisibility and visual position, travel cost, and regional settlement structure in a rugged yet highly interconnected landscape. Specifically, the locations chosen for the establishment of new capitals will be considered in light of existing settlements and the need for access to and control over travel routes that allow for participation in the trade of prestige goods. The team will acquire relevant topographic and land cover data, integrate information on the locations of known sites and economic connections, and carry out visibility and cost-surface analyses. Drs. Green, Whelan, Doershuk, and Swanson will be collaborating with SPARC researchers to develop a GIS and integrate the diverse data collected through their ongoing investigation of Gast Farm, a 13-hectare prehistoric site complex located in southeast Iowa. This site is important for the understanding of Middle and Late Woodland settlements’ spatial organization, ritual behavior, regional interaction, and social complexity. The project will bring together information from vertical and oblique air photos, airborne lidar data, surface survey, excavation and geophysical surveys. Students will be actively involved in this project, receiving training in GIS design and geospatial analysis. Wendy Cegielski (ASU), with co-PIs Justin Rego and Ignacio Grau-Mira will be collaborating with SPARC researchers to investigate the structure and organization of the urban, Iberian fortified settlement of Mariola in Eastern Spain. Mariola’s occupation spans the 2 and 1 centuries BC, a period marking the first stage of Roman control of Eastern Iberia, before the direct implantation of Roman Towns in the 1 century AD. This project’s The coPI’s have collected a large, multi-instrument dataset including gradiometry data with almost full coverage of the site area supplemented by sampled conductivity and susceptibility data. The PIs will work with SPARC researchers to pursue advanced datafusion techniques and the integration of LiDAR imagery. The aim is to improve current methods for distinguishing features of interest on Iberian fortress sites, and to undertake a more elaborate analysis of the data available, to identify of household structures and other traces of the urban plan, and to interpret their incorporation of Roman and Iberian structural features. These results will be compared to the settlement plans of other Iberian fortresses in the region in order to increase our understanding of the process of Roman Imperialism in Iberia. We would like to acknowledge the University of Alicante Spain, the Museu Arqueològic Municipal in Alcoi Spain, Dr. Ignasi Grau-Mira, and the 2014 Mariola Field School as hosts and assistants with the geophysical survey. We also thank Geoscan Research and Dr. Lew Somers for technical assistance and supplies and Dr. Jay K. Johnson from the University of Mississippi for the geophysical instrumentation. 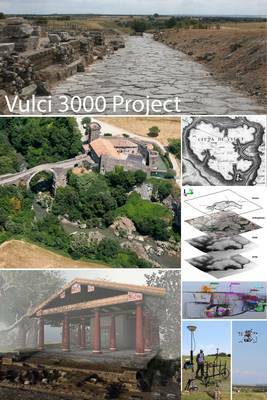 Vulci 3000 is a multidisciplinary project of archaeological research, training and digital communication focused on the Etruscan site of Vulci in central Italy. At many Etruscan sites archaeological research has focused on the necropoleis and funerary contexts. This research orientation has broadly led to a mystical image of Etruscan cities, primarily understood as “cities of dead” rather than living cities, complex settlements and social organisms. At Vulci, the Vulci 3000 Project will be pursuing an alternative line of research, focused on the organization of the ancient territory, population, and city plans – the living city. The research, to be carried out over five years will focus on the diachronic relationships between the ancient city and its landscape, and the organization of the urban center, will provide a different view of urbanism in central Italy, as Vulci emerges as a city is transformed through encounters with neighboring cultures and an expanding Roman state . Dr. Maurizio Forte and Dr. Nevio Danelon will collaborate with SPARC PIs to undertake topographic and architectural survey through terrestrial laserscanning, data that will aid in the contextualization and analysis of previously collected geophysical survey data, and form an integral part of the multi-source dataset supporting the project’s larger research agenda. The collaborative research project supported through SPARC will emphasize the analysis and interpretive characterization of the TLS data, pursuing innovative ways to use this type of data to support archaeological interpretation within an integrated multi-sensor dataset. Archaeological data post-processing for Vulci is supported by the Bass connection grant (Duke University) and by the research team of the Dig@Lab and Media+Art and Sciences (Duke University). A new endowment for archaeological fieldwork recently established in the Department of Classical Studies (Duke) will partially support the project for the next three years. The Gault Site (421BL323) is a multi‐component site with virtually every interval in the regional prehistoric record represented. Deposits in different parts of the site result from various mixes of anthropic and geologic processes (fluvial, colluvial, aeolian) as well as pedogenesis. At this site, Dr. Michael Collins and Dr. Bruce Bradley will be collaborating with SPARC researchers to undertake high‐resolution scanning and photogrammetric documentation of an exposed stratigraphy in a 3-m thick section significant for its long archaeological record and particularly for the presence of a substantial pre-Clovis component , situated stratigraphically below Clovis and dated with OSL on aeolian grains from ca. 16,000 to 13,200. As is true of all sites claiming to have evidence for older‐than‐ Clovis occupation, Gault will be subjected to intense scrutiny, and supporting future independent research on the evidence is seen as essential by the co-PIs. Site formational processes are at the heart of the evidence for integrity of the stratigraphic section, with its pre-Clovis component underlying its Clovis component. Therefore the morphology and topography of the excavated area must be recorded carefully, as part of an effort to create the fullest and most detailed possible documentation of the site’s stratigraphy. 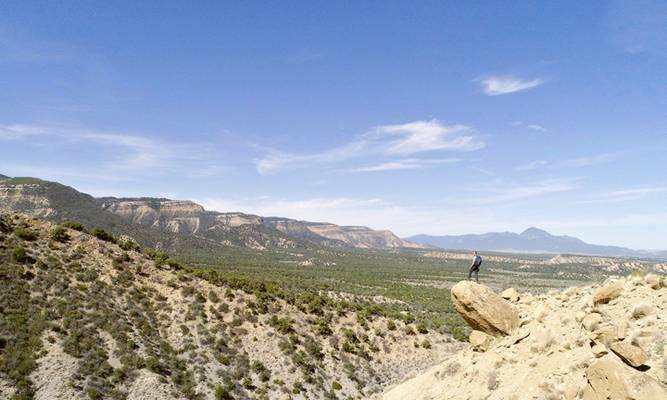 The results of this project will form the primary framework for integrating all of the broader project’s geologic observations and sampling results as the analysis and reporting of this section proceeds. 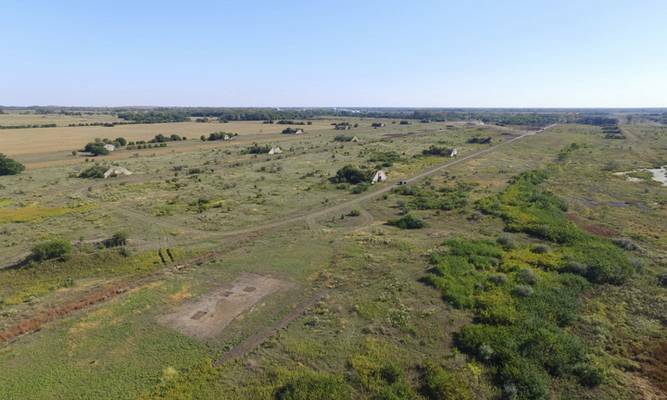 This research is supported by the National Science Foundation, Abell-Hanger Foundation, ExxonMobil Foundation, Archaeological Institute of America, Summerlee Foundation, and Texas Historical Foundation along with numerous individuals. Malthi provides a nearly unique example of a fully excavated Middle Hellenic (MH) settlement. 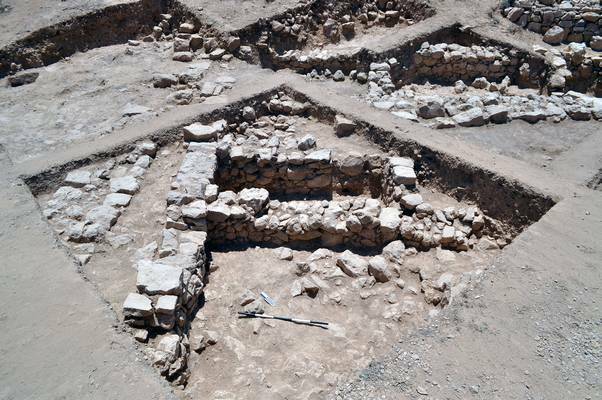 The excavated remains include a series of houses, storage facilities, entrance ways, and possible public architecture, enclosed by a settlement wall. Malthi is perhaps the first MH site at which a major restructuring of the settlement architecture was observed, as proposed by Valmin. The PIs research focuses on the socio-cultural motivations for the decision to make substantial revisions to the urban layout, as well as impacts on the life of the settlement and the surrounding area. PIs Rebecca Worsham, Prof. Donald Haggis, and Prof. Michael Lindblom will be collaborating with SPARC researchers to produce an accurate and analysis-ready plan of the exposed standing remains and a digital elevation model (DEM) of the settlement at Malthi, using a combination of scanning and structure from motion techniques. This work in embedded in a larger project, and aims to reconsider the architecture of the site including prior identifications of room types (by Valmin), and to attempt to identify coherent buildings. This improved survey, mapping and interpretation exercise will support a rethinking about the settlement’s organization, and re-organization, as a whole. The production of a local DEM of the site will aid in a consideration of access routes and forms a starting point for establishing the role of Malthi in the larger Soulima Valley network, which may function as a major corridor. This research is supported by the Institute for Aegean Prehistory (INSTAP), the Swedish Institute at Athens, the Univeristy of Uppsala, and the University of North Carolina at Chapel Hill. . Professor Patricia McAnany and Maia Dedrick of UNC Chapel Hill and Dr. Adolfo-Iván Batún-Alpuche (AGEY) will be collaborating with SPARC researchers to seeks to identify the size and distribution of rejolladas (limestone solution sinkholes) on commonly held ejido land surrounding the town of Tahcabo, Yucatán, México. Rejolladas are significant landscape features because they generally contain deep soils and are characterized by high humidity, in contrast to their surroundings, characterized by shallow surface soils that mean that in northern Yucatán many culturally important tree crops—such as cacao—can only be grown in rejolladas. 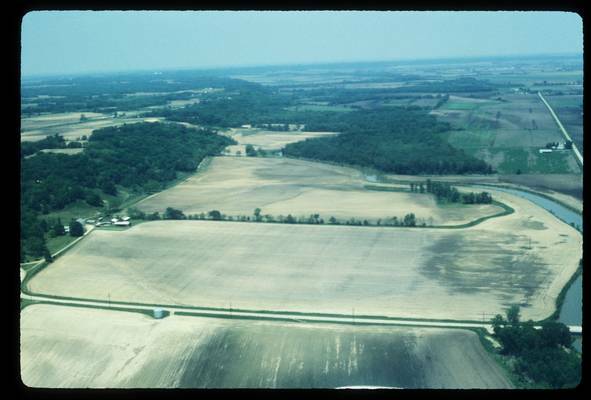 Further, this difference in soils means that long occupational sequences and information on changes in land use and crop regimes will likely come from rejolladas rather than shallow surface excavations. In this project the collaborators will use remote sensing data to identify and characterize the rejolladas in the area around Tahcabo and to use the results of the mapping exercise to construct a predictive model of settlement location. Further study will examine the attractiveness of rejolladas, and whether such attractiveness was spatially or temporally contingent. 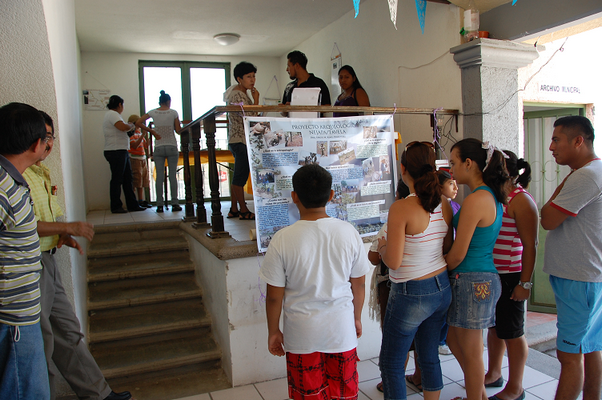 The research will also support archaeobotanical and ethnobotanical research by the co-PIs. Anthropological archaeologists have long sought to document and explain how the economies of past societies responded to imperial rule. Scholars have paid particular attention to the ways indigenous economies reacted under the stress of imperial demands for tribute and market demands for new or more products. Producers, either on their own or with assistance from imperial sponsorship, could intensify the organization of their economies in order to increase output and meet these new demands. This project investigates questions of how producers in semi-arid zones create sustainable economies that meet their precarious subsistence requirements while achieving the demands of empires and new markets. In this project Dr. Porter will collaborate with SPARC researchers to carry out geophysical survey at Busayra to map sub-surface features in order to characterize the overall architectural layout of the settlement as well as identify domestic residences for additional sampling. 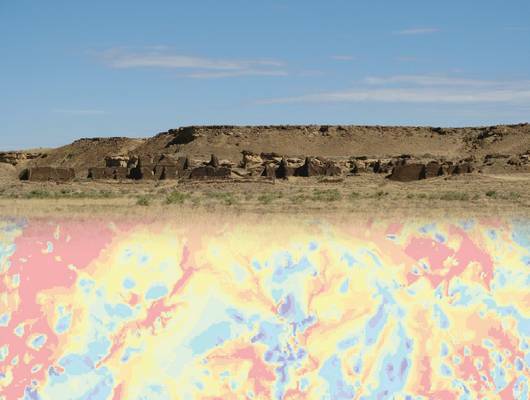 The results of the geophysical survey will help target excavation, which in turn will concentrate on recovering inorganic and organic evidence from secure contexts in order to answer the project's principal research question concerning how household economies were reorganized, elucidating evidence for trends toward economic specialization to maximize output in a semi-arid environment. This research is supported by the Jordanian Department of Antiquities al-Hima (http://www.alhima-jo.org/en), American Center of Oriental Research (ACOR) in 'Amman, the University of California, Berkeley, and the University of California, Berkeley's Archaeological Research Facility. Dr. Andrew Bauer of the University of Illinois will be collaborating with SPARC researchers to carry out near-surface mapping of magnetic anomalies as part of a broader interdisciplinary project designed to examine the related social and natural histories of the understudied inselbergs (island mountains) of the peninsular interior of South India. 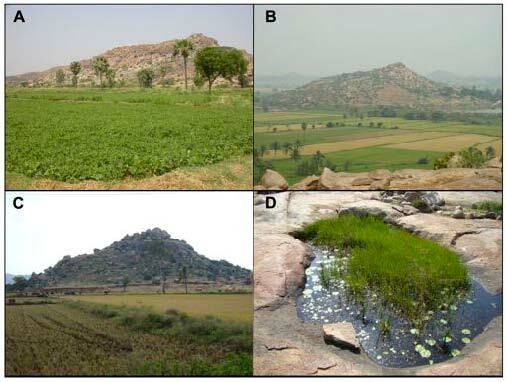 This research will improve our understanding of the development of social distinctions in ancient South India and to establish the inselbergs' ecological histories. The planned geophysical explorations have the strong potential to identify structures and activity spaces for forthcoming excavations of habitation and metals production locales at two sites of this type, Kadebakele and Maski, where artifact surface distributions and early textual sources suggest specialized extraction and production of iron and gold occurred. 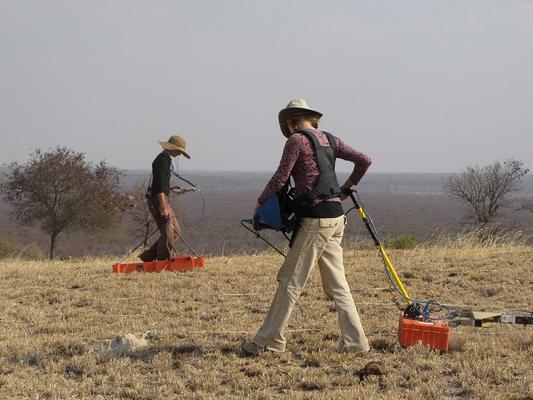 Identifying the location of metalworking facilities at Early Historic Kadebakele through the geophysical survey would enable an evaluation of the scale and degree of metallurgical production within a settlement context. Reliance upon iron blooms smelted 20 km. from the settlement would have had both profound implications for the regional political economy as well as the ecology of the adjacent inselberg hills, where fuel demands for smelting vs. smithing would have had vastly different implications for plant and animal communities, soil erosion, and additional human land-use practices. At Maski the geophysical survey will enable us to identify important temporal shifts in production and the degree to which manufacturing activities were socially specialized, centralized, or more evenly distributed among ancient inhabitants, and likewise the degree to which production and consumption of certain materials and artifact forms contributed to the creation and maintenance of social distinctions. Furthermore, the intensity of production activities and careful documentation of fuel usage in various stages of metallurgical production at Maski will allow us to link production activities with the results of ongoing stratigraphic paleoecological assessments of the hill's vegetation history. Overall, the geophysical research will provide a critical bridge between pedestrian survey and paleoecological sampling analyses and the excavation of subsurface contexts where sociocultural production and consumption activities can be evaluated. Joseph Bagley and Jennifer Poulsen of the Boston Landmarks Commission will be collaborating with SPARC researchers to use a structured light scanner to create detailed 3D models of ceramic artifacts featuring finger and hand prints from the Parker-Harris Pottery Site and Three Cranes tavern Site in Charlestown, Massachusetts. 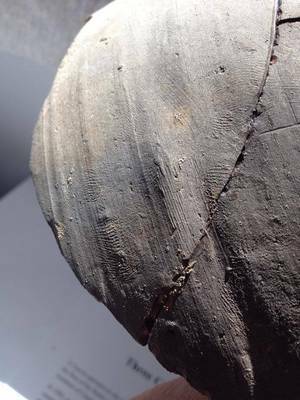 Fingerprints from redware vessels at both production and consumption sites will be analyzed. The goal of this proof-of-concept pilot project is to establish that biometric identifiers can be used to directly connect pottery from consumption sites with production sites when there is a known sale of product between production and consumption sites, tightly dated deposits that can limit association of pottery to specific potters, and there are a limited number of potters known to be producing these vessels. This project will also establish a visual reference collection of fingerprints with the potential for expansion into an automated fingerprint identification system of historic potters on both production and consumption sites in Charlestown and beyond. This type of database could establish previously-unknown associations and commercial networks of domestic redware potters across the eastern United States. With data as unique and personal as a fingerprint, the results of this analysis with bring a personal and evocative light to these significant assemblages, allowing the public to appreciate these forgotten and sometimes nameless potters through the intimate association of their hands. 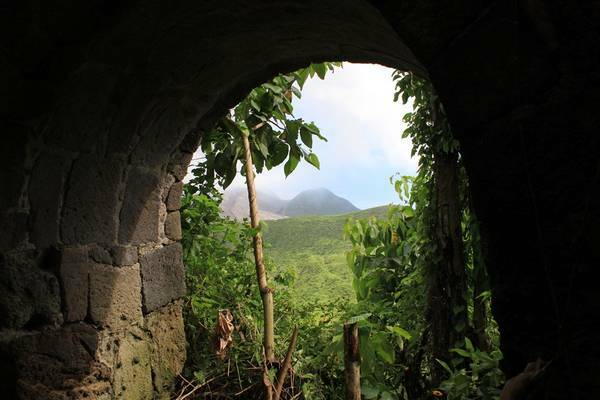 The Survey and Landscape Archaeology on Montserrat project began in 2010, and Drs. Ryzewski and Cherry have been conducting pedestrian survey for four field seasons. The dense vegetation and steep terrain of this island preclude intensive, systematic survey and ground visibility is extremely poor - even standing remains are often hidden by dense tropical forest vegetation. Through their SPARC project, they will begin to use airborne lidar data to map potential cultural landscape features and other anomalies in the Centre Hills region of the island and guide future prospection strategies. This work will generate essential diachronic data and provide the foundations for research on broader questions of long term land-use, settlement history, strategies for risk management, and consequences of migrations and colonization, enabling the researchers to develop new insights into Montserrat’s past inhabitants and relationships with the wider Caribbean region. This research is conducted with the kind collaboration of the Montserrat Volcano Observatory and Montserrat National Trust. Etruria Before and After the Roman Conquest. The Landscape of Vulci. FUNDED: Etruria Before and After the Roman Conquest. The Landscape of Vulci. Over a thousand archaeological sites have been identified in the landscape around Vulci, located north of Rome in Italy through a variety of surveys and excavations. Through this SPARC supported project, researchers from SUNY Buffalo and Accademia Nazionale dei Lincei - Rome will be bringing this information, together with environmental and topographic data and aerial imagery, to bear in a new study of the territory, aiming to better understand the military, social, and economic organization of the pre-Roman landscape, and the Etruscan response to Roman invasion— a critical period currently understood mainly from a Roman perspectives— and the Roman changes to the territory after the conquest of Vulci. Integrating and analyzing these complex data, the project will investigate questions of continuity and change, the organization of the local rural economy, the influence of the natural environment, and the value of a landscape approach to the study of the region's social structures. This research project is conducted with the kind cooperation of the Soprintendenza per i Beni Archeologici dell'Etruria Meridionale, the Soprintendenza per i Beni Archeologici della Toscana and the Riserva Naturale Selva del Lamone. Kristin Safi's project aims to investigate the social mechanisms operating within great house community organization and inter-community interaction that served to integrate and differentiate multi-ethnic communities in the southern Cibola region of west central New Mexico. With SPARC support, she will collect geophysical and airborne thermographic survey data to identify key structures and better understand the organization of the Largo Gap great house. This data will help address the extent to which local great houses in the southern Cibola region maintain a suite of “Chaco” characteristics, or incorporate both Puebloan and Mogollon architectural conventions as a reflection of its multi-ethnic community constituents, with broader implications for our understanding of Chacoan great house communities in the American Southwest and the role of local, inter-community competition in structuring group formation and the negotiation of group identity within the increasingly heterogeneous social landscape of this region during the 11th century. The Largo Gap Community Project is supported by the National Science Foundation through a Doctoral Dissertation Research Improvement Grant (#1340542), the National Geographic Society (Grant #9323-13), and a research grant by the Arizona Archaeological and Historical Society. Stacie King will be developing a workflow and protocol to model and virtually display objects from a community museum collection in Santa Ana Tavela, Mexico, using structure from motion style photogrammetry and an open source, lightweight approach to virtual museums. 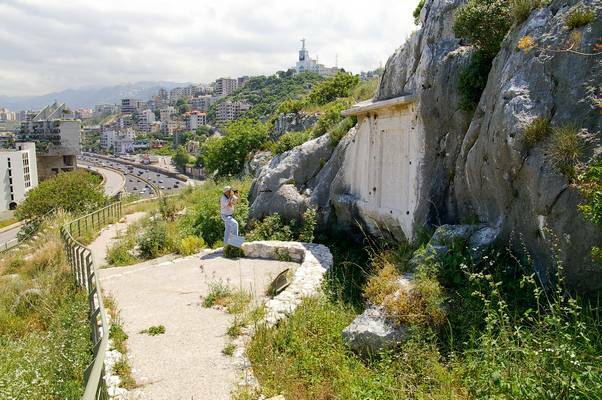 This project aims to bring information about the collection to a wider audience and provide the local community with a stake in presentation and interpretation of their heritage, while fulfilling national requirements regarding stewardship of archaeological materials. The project explores issues of how well digital media enhances and democratizes access to physical artifact collections and serves as a means of digital repatriation. Mehrnoush Soroush's project attempts to understand the longue durée water management strategies on the irrigated landscape of Miān-āb, in the Khuzistan Province of Iran. 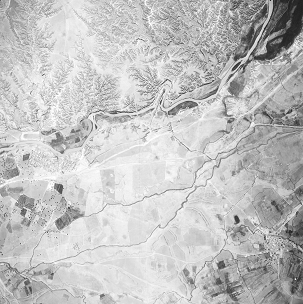 Using historical aerial photographs and declassified Corona imagery she plans to create a historical DEM and carry out hydrology modeling to study the workings of a complicated irrigation system, which includes canals, dams, weirs, bridges, subterranean channels, and earthen enclosures, that extend over 4000 km2. The project aims to shed light on the dynamics of decision-making and community practices for the management of water resources of Miān-āb from antiquity until the onset of modern agricultural development. New insights into past irrigation and water management derived from this study have the potential to contribute to a more informed and sustainable strategy for the future of the landscape in Miān-āb. 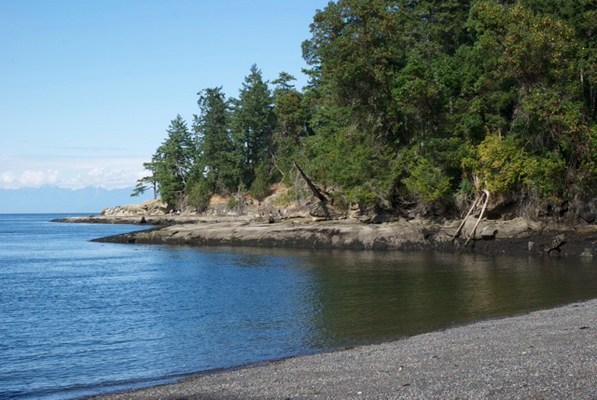 Patrick Dolan and Colin Grier will be using magnetometry survey to collect essential data on the organization of domestic space and households at the Dionisio Point Site in the Gulf Islands, British Columbia. This data will be used to support the broader study of economic indicators of household food production and consumption at a single plank house village in southwestern British Columbia. 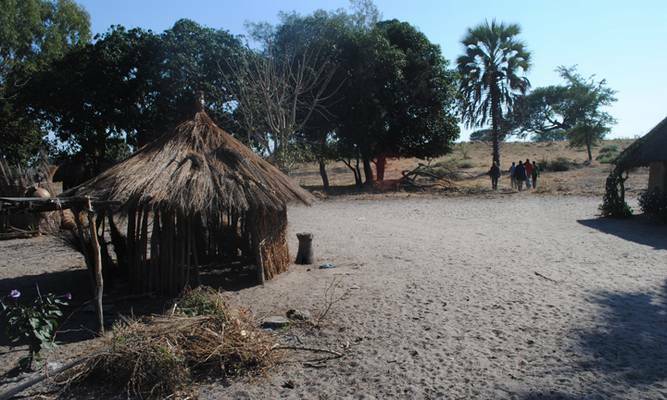 The SPARC supported phase of the project will generate baseline architectural and demographic data for this village by identifying hearths and other basic household features, part of a growing number of projects using geophysical research to investigate small-scale hunter-fisher-gatherer village economies and the development of social complexity. Drs. Klehm and Ernenwien will be using geophysical and airborne thermographic survey to study three small rural sites in Botswana, with the aim of expanding our understanding of the local social, political, and economic landscape around the polity site of Bosutswe, the central site for this area. Low-altitude aerial remote sensing of the hilltop site of Mmadipudi Hill, two small grounds sites (Queen’s Site and Queen’s House Site) is planned to try and detect subsurface features at known sites and identify new, unknown sites. 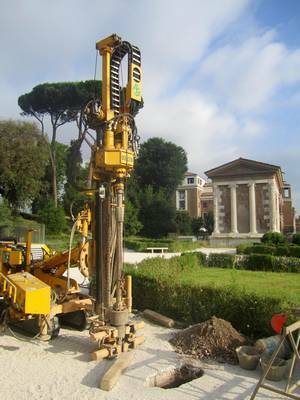 This work will be complemented by on-the-ground geophysical methods (EMI, magnetometry, and GPR) to characterize the subsurface at known and newly discovered sites in order to understand their spatial layout. The end products from the geophysical and aerial remote sensing surveys will be integrated to understand intra-site spatial patterns and spatial relationships between sites in the region.